Below is a sampling of cases that consist of a wide variety of criminal and drug offences. 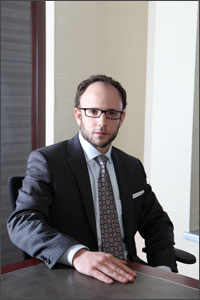 Morrie Luft successfully represented his clients in these cases. Please note that these past successes do not guarantee future results. R. v. D.P. – Mr. P. was charged with impaired operation of a motor vehicle. Result: charge withdrawn. R. v. R.P. – Mr. P. was charged with possession of cocaine for the purpose of trafficking and possession of proceeds of crime. Result: Following a contested preliminary hearing, all charges before the court were dismissed. R. v. R.P. – Mr. P. was charged with possession of firearm and numerous other charges related to possessing a firearm. Result: All charges withdrawn. R. v. M.S. – Mr. S. was charged with dangerous operation of a motor vehicle. Result: acquittal on all counts by a Jury. R. v. N.D. – Mr. D. was charged with assault. Result: client acquitted following a trial. R. v. B.P. – Mr. P. was charged with obstruct peace officer and with failing to comply with his recognizance. Result: all charges withdrawn. R. v. C.B. – Mr. B. was charged with robbery and possession of proceeds of crime. Result: all charges withdrawn. R. v. R.P. – Mr. P. was charged with assault, forcible confinement and failing to comply with his recognizance. Result: following a contested trial, client was acquitted of all counts. R. v. V.F. – Mr. F. was charged with two counts of failing to comply with his recognizance. Result: all charges withdrawn. R. v. P.N. – Client was charged with break and enter and with uttering threats to cause death. Result: all charges withdrawn. R. v. C.F. – Mr. F. was charged with assault. Result: client acquitted after trial. R. v. S.D. – D was charged with possession of marijuana. Result: charge withdrawn. R. v. J.R. – R was charged with possession of cocaine for the purpose of trafficking and possession of proceeds. Result: all charges withdrawn. R. v. D.Y. – Y was charged with robbery. Result: charge withdrawn. R. v. C.B. – B was charged with possession of cocaine for the purpose of trafficking and with possession of proceeds of crime. Result: following a preliminary hearing, prosecutor withdrew all charges. R. v. L.S. – S. was charged with possession of marijuana. Result: charge withdrawn. R. v. D.H. – H was charged with trafficking cocaine, possession of cocaine for the purpose of trafficking, obstructing a peace officer and failing to comply with probation. Result: all charges withdrawn. R. v. D.Y.C. – C was charged with robbery. Result: charge withdrawn. R. v. D.Y.C. – C was charged with failing to comply with a recognizance. Result: charge withdrawn. R. v. C.A. – A was charged with assault. Result: client acquitted following contested trial. R. v. N.D. – client was charged with 4 counts of possession of a controlled substance and with assault resist arrest. Result: all charges withdrawn. R. v. D.W. – client charged with assault. Result: charge withdrawn. R. v. S.N. – Mr. N. was charged with possession of firearm and numerous counts relating to possession a firearm. Result: following preliminary hearing, Crown Attorney withdrew all charges. R. v. S.M. – Mr. M. was charged with two counts of assault. Result: charges withdrawn. R. v. D.M. – Mr. M. was charged with two counts of failing to comply with his recognizance. Result: charges dismissed following trial. R. v. D.W. – W. charged with theft under. Result: charge withdrawn. R. v. D.W. – client charged with mischief under $5000 and 2 counts of failing to comply with a recognizance. Result: all charges withdrawn. R. v. A.S. – S was charged with over 80. Result: client acquitted after successfully excluding breath results because of a violation of the Canadian Charter of Rights and Freedoms. R. v. K.D. – D was charged with numerous fraud related charges. Related: all charges withdrawn. R. v. J.A. – A was charged with robbery. Result: charge withdrawn. R. v. J.A. – A was accused of theft under and fail to comply with probation. Result: all charges withdrawn. R. v. M.S. – S was charged with uttering threat to cause death. Result: charge withdrawn.